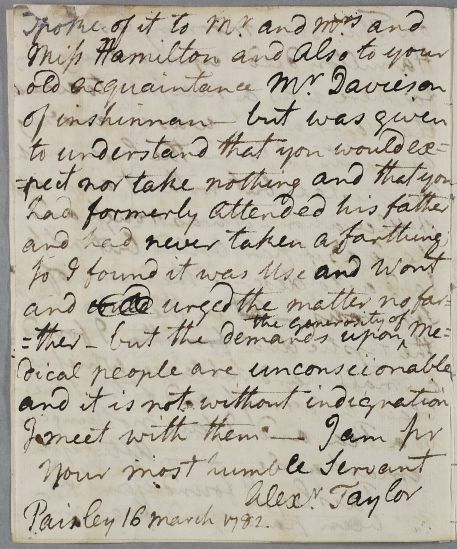 Letter from Alexander Taylor, concerning the cases of the brothers James and William Orr. 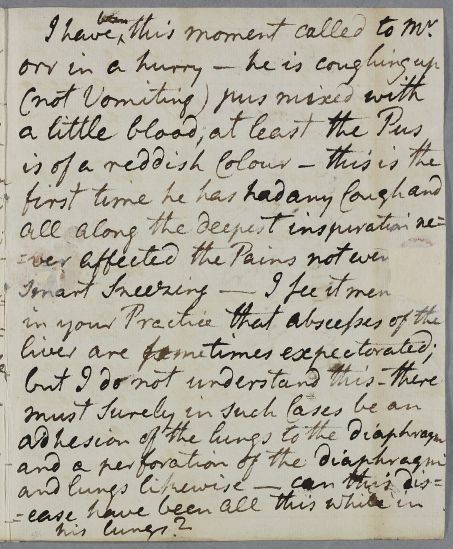 James has pain in the side, and has been coughing up bloody pus: 'I see it mentioned in your Practice that abcesses of the liver are sometimes expectorated but I do not understand this'. William's eyes are improving. He reports on the post-mortem dissection of the minister, Mr Hamilton. 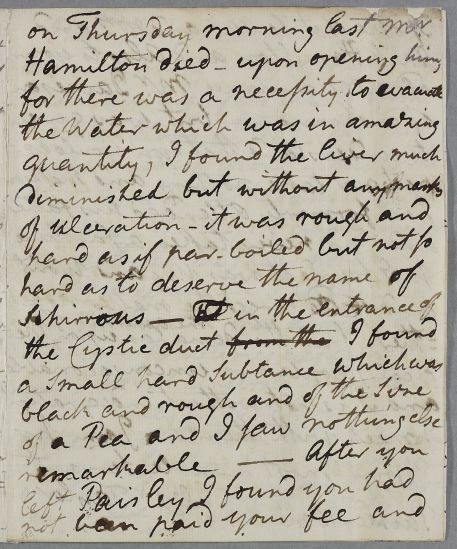 He also notes that 'After you left Paisley I found you had not been paid your fee', and discussed this with the Hamiltons and with Cullen's old friend Rev. Davidson of Inchinnan, whose father Cullen had attended. 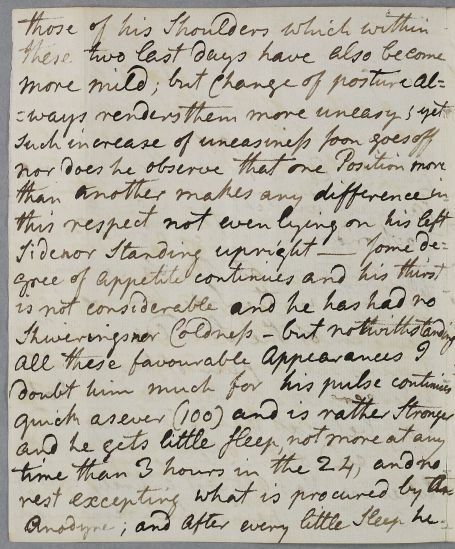 Summary Letter from Alexander Taylor, concerning the cases of the brothers James and William Orr. 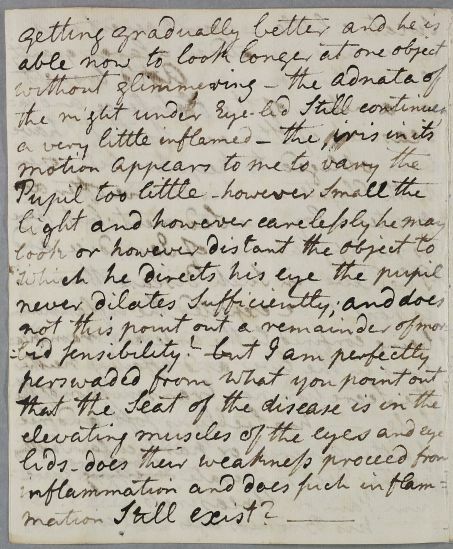 James has pain in the side, and has been coughing up bloody pus: 'I see it mentioned in your Practice that abcesses of the liver are sometimes expectorated but I do not understand this'. William's eyes are improving. 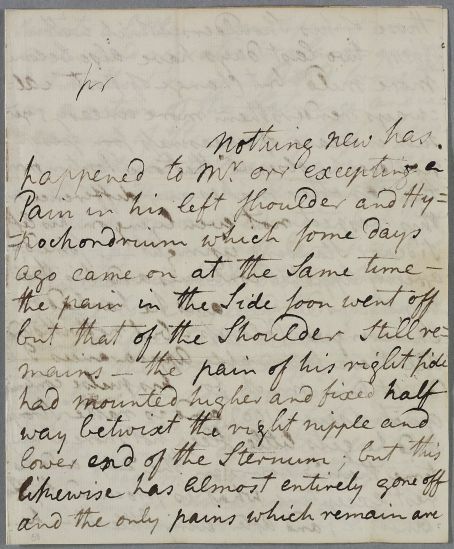 He reports on the post-mortem dissection of the minister, Mr Hamilton. 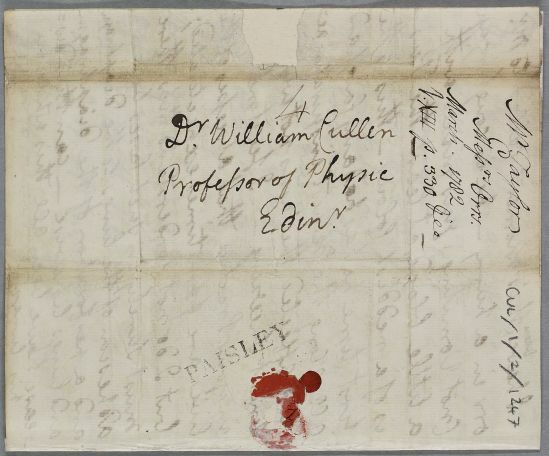 He also notes that 'After you left Paisley I found you had not been paid your fee', and discussed this with the Hamiltons and with Cullen's old friend Rev. Davidson of Inchinnan, whose father Cullen had attended. 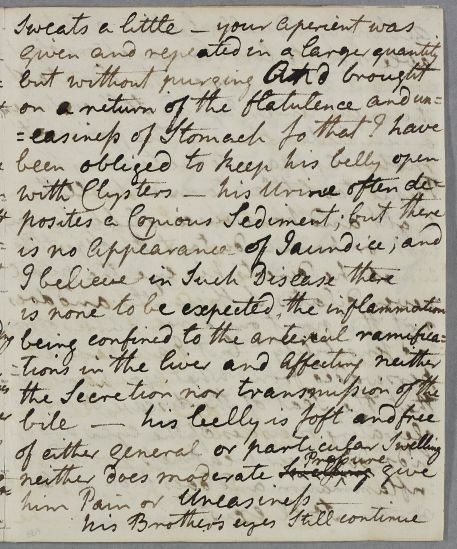 Case of James Orr who has a venereal infection in 1778, but by 1782 has abdominal complaints and various bodily pains which Cullen eventually attributes to a disordered liver. Case of the Revd. James Hamilton, minister in Paisley, who suffers from swollen and ulcerated legs. The case proves terminal and a post-mortem is performed by local surgeon Alexander ["Sanders"] Taylor. Case of Mr Davidson, previously treated by Cullen without a fee. I have ↑been↑ this moment called to Mr.
1: Legal expression meaning 'the established custom'.